Tall Clubs International is our national affiliation, founded in 1938 by Kae Sumner Einfeldt. Members of the Tall Club of Milwaukee can register as members of TCI on their web site as well. Their web site is currently going through major upgrades so perhaps our links here will also change to them in the coming weeks. Tax deductible donations can be sent to the Tall Clubs International Foundation to fund our annual national scholarship program. As members of the Tall Club of Milwaukee, we can travel to “weekends” of other clubs. Below is a picture from last year’s Paramount Tall Club of Chicago’s Casino Weekend. This year’s theme is Games People Play Weekend. 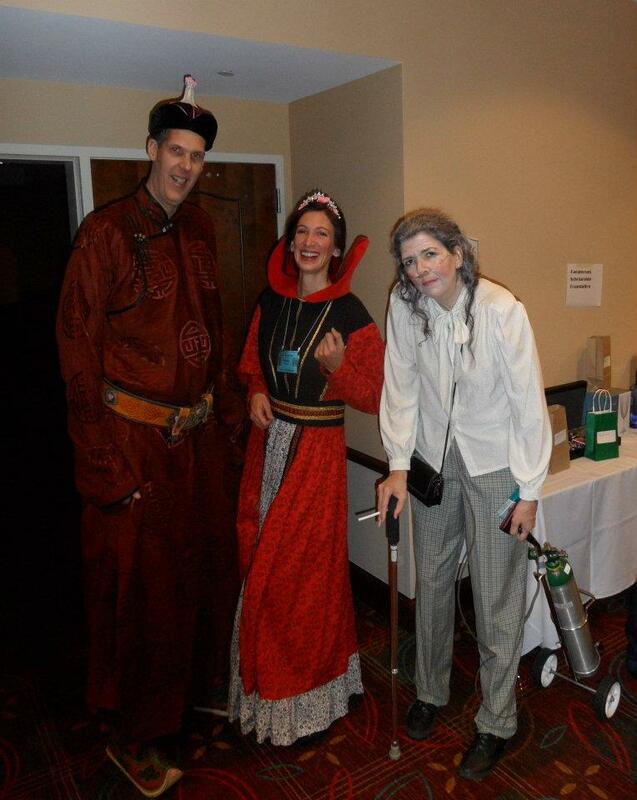 Below is a picture of folks costumed last year as the Queen of Hearts, Ghenghis Kahn and a dying old gambler addicted to oxygen and cigarettes.